Manufactured in Allemagne from Circa 1960 until 0. 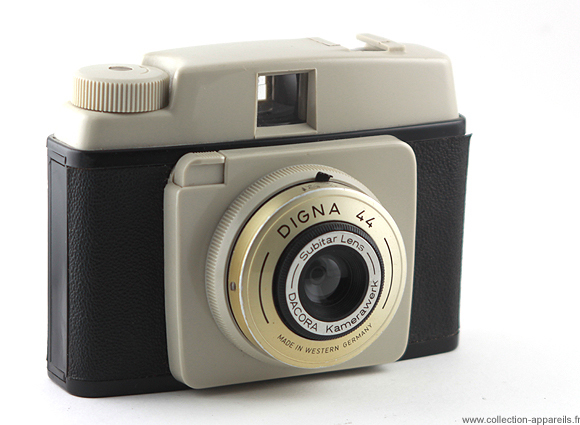 As much Super Dignette marks the top of the range of Dignette-Digna, as much this Digna 44 is located in the hollows of the range. Very of plastic vêtu, it causes little interest. It is about one 127, fix-focus, with two apertures selected by the choice of two symbols weather. This camera dates from the beginning of the Sixties. One finds it in the United Kingdom under the name of Ilford Sporti 4.